After seeing an incorrect 2jzgte vvti coil and wiring diagram online I quickly put a simple one together that will come in handy! 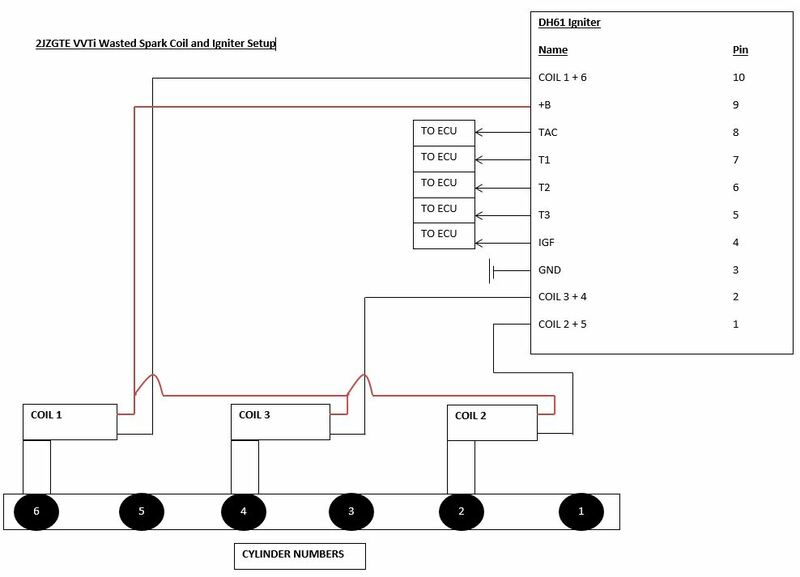 This is useful for working on the coils and igniter, please refer to more in-depth wiring diagrams when tracing wiring or working on more in depth wiring problems such as the VVTi wiring diargams you can find HERE. Yes the coils are numbered 1,3,2!!! I have confirmed this with IS300 workshop manual, Japanese wiring diagrams and also my own car. Have ignition issues? Never under-estimate the importance of the correct spark plug heat range!